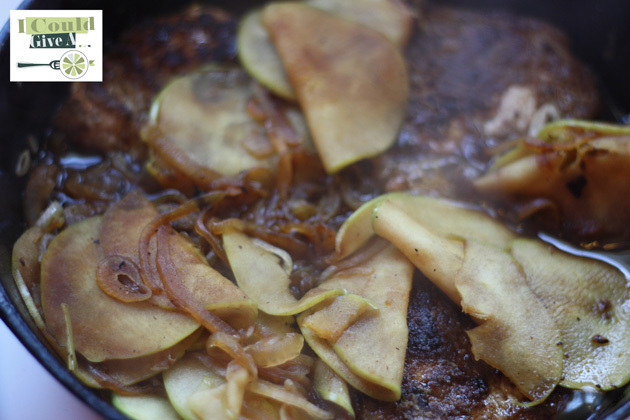 We love pork around here, but let’s face reality: pork chops get old. You can bbq them, bake them, pan fry them, but sometimes you just want a little more. 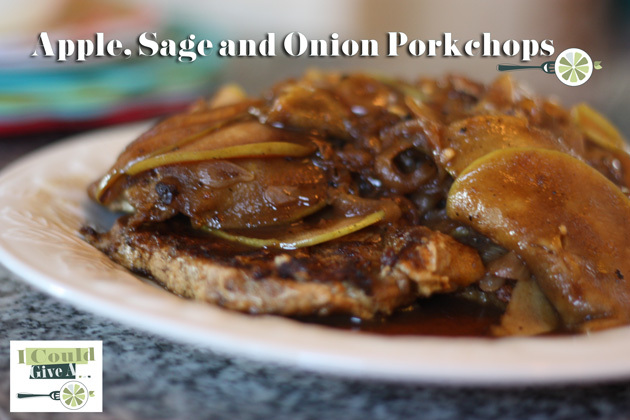 Enter apple, sage & onion pork chops! They are delicious and pretty easy to make – especially since I’m going to show you step by step how to create this culinary masterpiece! 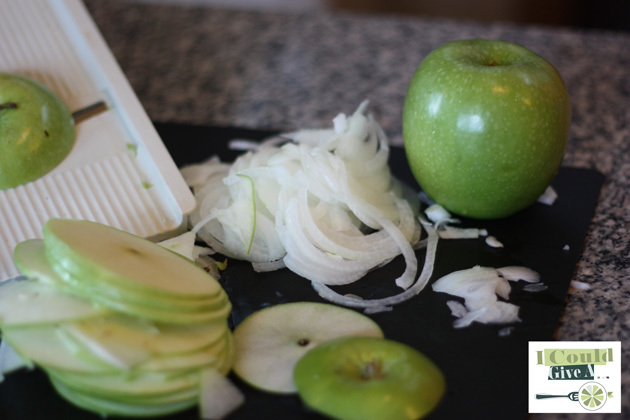 My mandolin slices them the perfect size in my opinion, but if you don’t have a slicer of some sort – try to keep them neat and thin. It will ensure they all cook at the same rate and really, you’ll thank me for that tip. For reals. 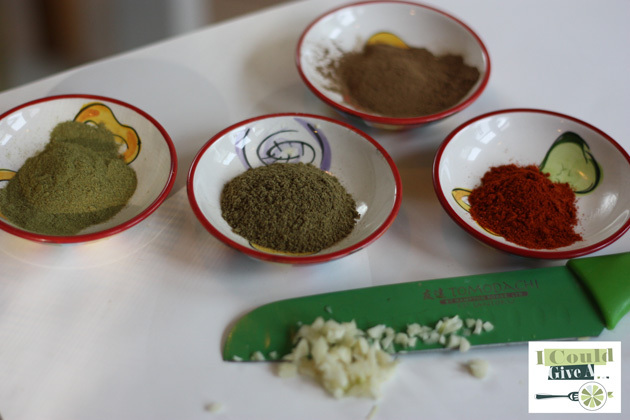 You are going to need the following spices, too! Up there we’ve minced some garlic and measured out some sage, paprika, thyme and allspice. Sounds a little weird, but trust me – it’s good! 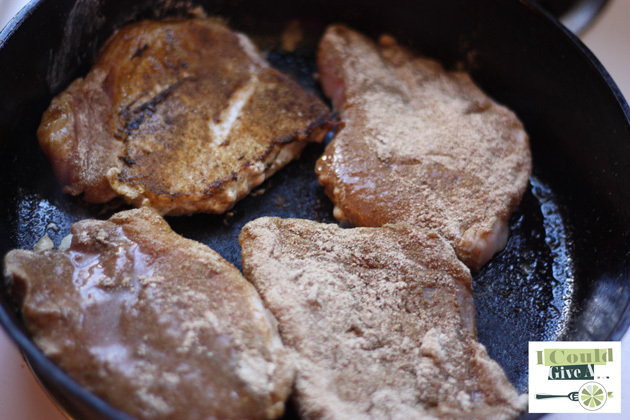 Heat you a few tablespoons of oil in a skillet and coat your chops with the spices and flour (don’t throw out the leftover flour and spice mix, we’ll use it later) and pop them right in and get to cookin, good lookin! Depending on the thickness of your chops, just about 3 minutes or so a side should do it. I’ve got one turned for you in the pic above – looking so dang good! Can you smell that? 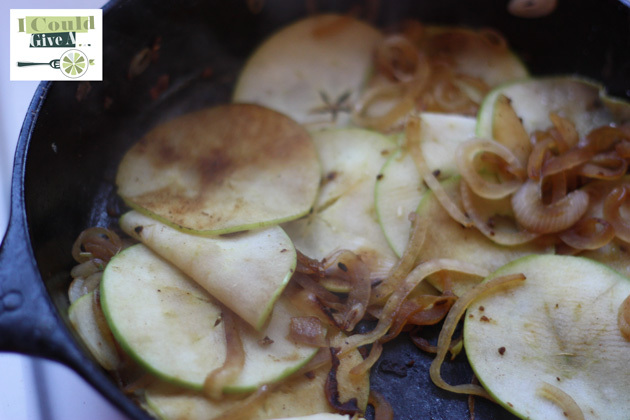 You will when you try this recipe, but the photos will have to do for now. Isn’t it a shame that the internet isn’t scratch n sniff? No? Am I showing my age here or what? 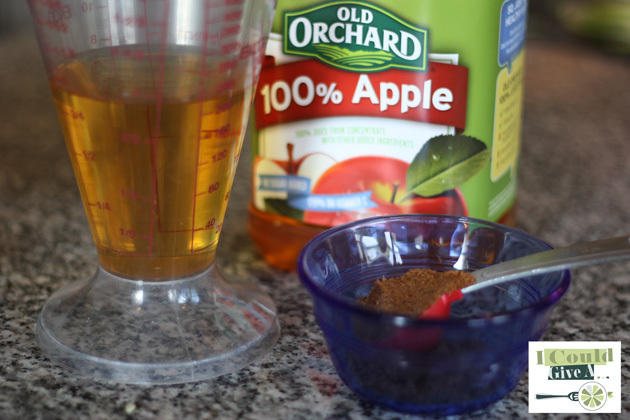 Add apple juice, brown sugar and the rest of the flour and spice mix and heat until it boils. Simmer about 5 minutes - all done!